A protein-enriched shampoo specially formulated for all hair types that gently cleanses as it revitalises the hair and scalp. 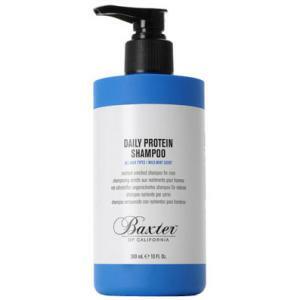 Delivers a mega-dose of protein, Coenzymes A,B5,B6,B12,Q10, and nutrients to promote hair strength, body, and manageability. Tea Tree Oil and Cinnamon Extract invigorate and provide antiseptic protection. Gentle formula removes build-up, environmental pollutants, and natural toxins such as DHT, a male hormone found to be harmful to the hair's growth cycle. Really good product. Clean hair very well even if it is long and full of hair products. Outstanding fresh product and excellent choice. As the title says, it's the best I've ever used! My cleaners took my last bottle, I'm glad to have it back! clean hair great smell - buy it!